Truly magnificent in nature, this Saint Series collection of incense sticks boasts our ability to give form to purity and fragrance together. 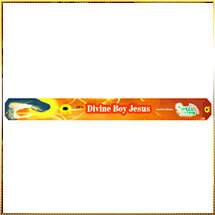 Based on combo concept, this range of Incense Stick mesmerize the users with two different fragrances. Its magical aroma will leave you spell bounded by taking you to another world. We also add refine texture to our Incense Sticks that enhances its appearance as well. Long lasting lingering effect of our Incense Sticks is also admired by the users all over the world. However, we focus on making eco-friendly Incense Sticks owing to which users can enjoy the fragrance of stick without concerning any health hazards.